Calling all student animators... TEDxEastVan wants you! 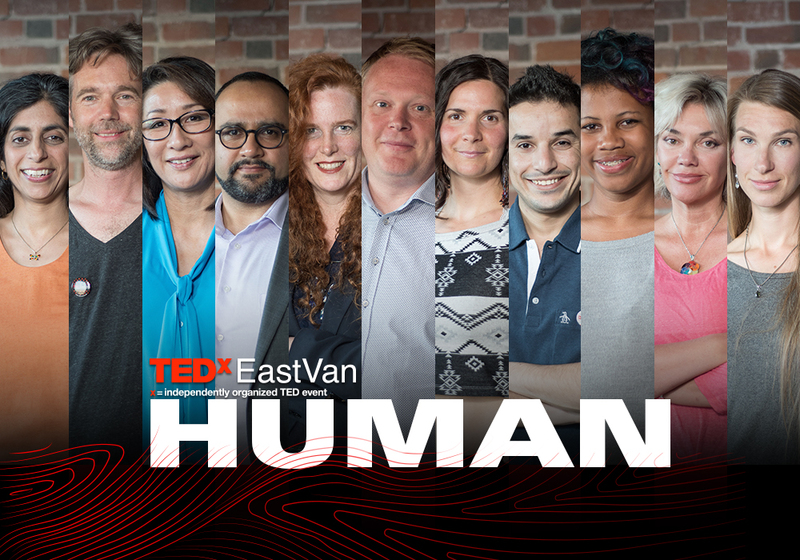 TEDxEastVan 2016 - an example of creativity and innovation! September 5, 2017 - No Comments! At this year's TEDxEastVan event, we will be teaming up with the Move Share Care Network to help provide clean, warm clothing to local people in need. With summer coming to an end and the temperatures set to drop it’s important to remember those who might be sleeping in the rough. 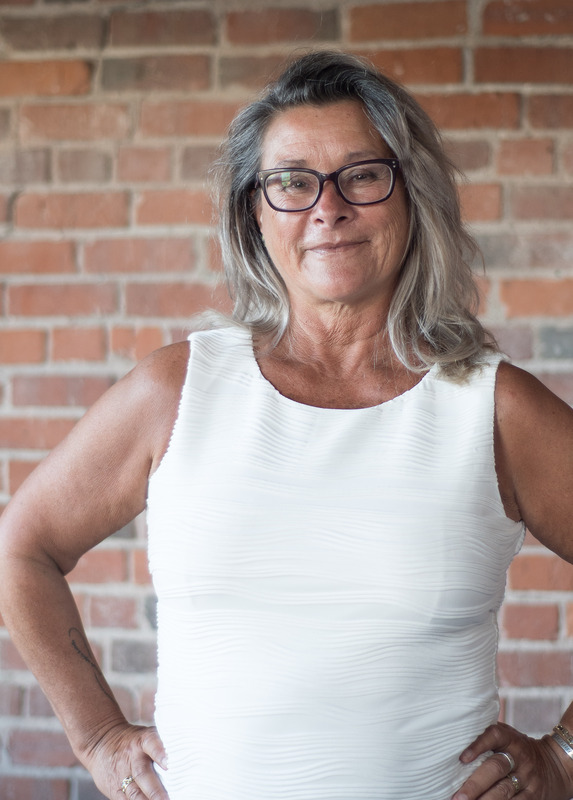 Inspired by the abundance of unused clothing created by the ‘fast fashion’ industry the Move Share Care network’s has been collecting and distributing clothing donations since 2012 via the First United Church. Their goal is to collect, sort, stock and redistribute directly to the communities in need. 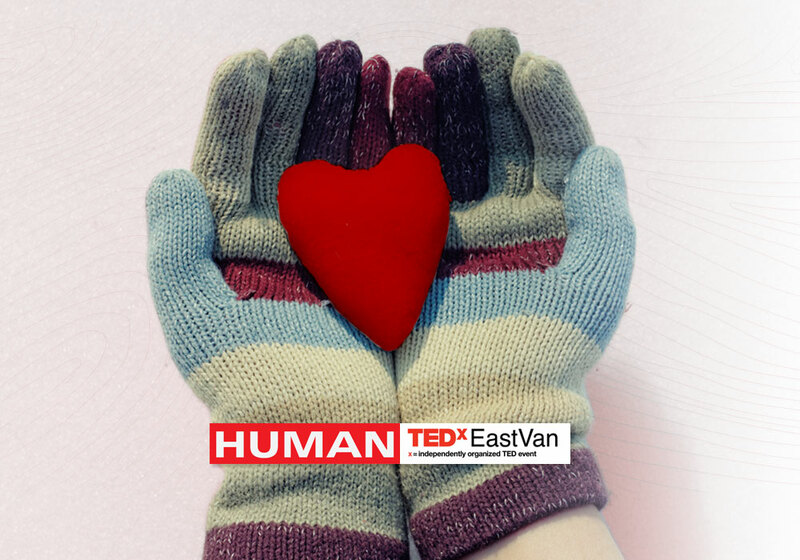 This is just one of the many great ways TEDxEastVan aims to give back to the community. To find out more ways you can give back check out our Pay it Forward campaign and our Green Initiative. For more information on the Move Share Care Network check out their website here. August 28, 2017 - No Comments! 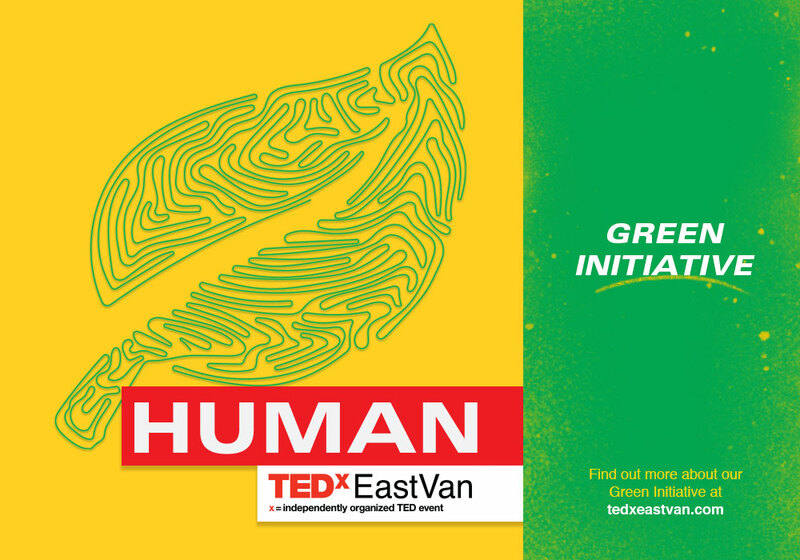 This year at TEDxEastVan we are taking extra steps to make our event as green as possible. Here’s what we’re doing to further this campaign and how you can help. Our local Green Team is made up of volunteers that are dedicated to promoting environmental sustainability before, during, and after the event. We recognize environmental stewardship is a shared responsibility and we are committed to hosting a green event. We have done our best throughout our planning over the last few months to select vendors and contractors committed to sustainable practices. Our team will be establishing waste diversion stations and signage so that each and every one of our attendees and volunteers can easily dispose of any waste the right way. To help reduce the waste at the event overall we will be using the Aboriginal Centre’s catering services with local food items served in compostable, reusable, or recyclable packaging and are minimizing single-use items. Our snack service will be provided by EnRoot who will provide zero packaging food items. This is not just about reducing waste but also benefiting our community which is why we are also participating in a food recovery program with Food Stash. They will pick up any leftover meals and snacks and deliver them to one of twenty-six organisations they work with in BC including the Greater Vancouver Food Bank and Broadway Youth Resource. And our favorite part, the ‘swag bag’. Our sponsors have opted to go with an electronic alternative to the physical swag bag, which will be electronic coupons full of fun, zero-waste treats for all attendees. We have done our best to select the event and after-party locations in close proximity to each other with access to public transportation to reduce environmentally-unfriendly travel. A big yellow school bus will be waiting outside the venue to transport attendees to our after party location and back. If you want to help out but need to drive you can always carpool with the awesome new friends you make at the event. Vancouver has a vast range of options and very reliable public transport. Try taking the bus, skytrain or ride a bike to the event. Or, if you live close, enjoy some fresh air and walk to the event (before the winter sets in). We are encouraging all our volunteers and attendees to bring a reusable water bottle or mug to reduce the need for disposable cups on the day of the event. Take some time to properly sort your waste into bins provided and keep recyclables contaminant free and if you’re not sure just ask one of our volunteers. Participate in our ‘Share the Warmth’ clothing drive. Instead of discarding of your clean warm clothes, bring them to our event and the Move Share Care Network will set up a bin to collect the donations. They will then bring these to First United Church in the Downtown Eastside. August 23, 2017 - No Comments! Getting our speakers from auditions to being audience-ready is an important behind-the-scenes task. One of this year's coaches shares her unique process and journey with us. Eyes, noses, hair, hands… at the first meeting with the speakers selected for this year’s TEDx East Van stage, I see a blur of people. As they talk, introduce themselves, get fired up about the opportunity, they begin to come into focus for me, become individuals, become stories still to be told. It’s always fascinating, this distillation from a group to a handful of people to whom I am committed. I want them to be hugely successful and to be proud of what they accomplish. To get there, to the stage of the York Theatre on September 16th, there are many hours of thinking, pondering, floating of ideas, and shooting some of those down. My process may not be representative but it’s mine and I know it works. We start by imagining the day of the event, seeing the audience, hearing their applause, feeling their excitement and then we scroll back to figure out the best way to get there. I like to hear their thoughts about their own Idea Worth Spreading, then take a detour into some performance exercises before we settle back down to crafting the thoughts that will become words, that will become performances, and then memories. Sometimes the initial idea is rejected or dramatically revised. Sometimes it’s a matter of changing the order of things, adding a bit of this and a bit of that, leaving some empty words and phrases on the floor, ready for the broom to sweep them off. I see it as a bit of a dance where each of us throws out a couple of taps and then waits to see what is tapped back. Astaire and Rogers, it’s not but there is a rhythm that evolves and eventually, we’re dancing together rather than taking turns. It’s a beautiful thing. As always, the challenge is not to determine what to include, but what to carve away. All of my speakers are so rich in content, in fascinating ideas and information to be shared, in new ways of looking at the world and at being Human. The process of becoming a great speaker is a natural quest for humans: to strive, to challenge yourself, to make a connection. I’m so happy to be part of the dance.